Founder of Freemasonry in Halifax. The Hon. Edward Cornwallis, the founder of Halifax, was born at 14 Leicester Square, London,, on March 5th, 1711 (not Feb. 22nd, as stated by several writers). He was the sixth son of Charles, fourth Baron Cornwallis. His mother was Lady Charlotte Butler, a daughter of Richard Earl of Aaron, and grand-daughter of James Butler, the famous first Duke of Ormonde, Lord Lieutenant of Ireland in the reigns of Charles I and Charles II. The first Baron Cornwallis was Sir Frederick Cornwallis, of an old Suffolk family who fought for Charles II during the Civil Wars and who was created Baron Cornwallis in 1661. The family possessed large estates in Suffolk and the Channel Islands, and was for generations one of wealth and influence. Taking the side of the House of Hanover, on the death of Queen Anne, they received benefits from George I, became favorites with his son, George II, and were on terms of intimate friendship with the royal family when their sons, Edward and Frederick (who were twins) were born. At this time the family maintained a fine house and retinue in London. At the age of twelve the two brothers were appointed royal pages, and for two years attended the royal family and Court at Windsor and at Hampton Court palace. Cole, the antiquary and social historian of the court, refers to the boys, "as alike in body and mind and of so marked a resemblance to each other that it was difficult to know them asunder." From the Court both brothers entered Eton, where they remained for four years. Frederick entered the Church, was ordained at an early age, was rapidly advanced and became successively Bishop of Lichfield, Dean of London and finally in 1768, Archbishop of Canterbury. He was known as the gay Archbishop and crated a sensation by marrying Lady Townsend, a reigning beauty and toast of the day. Their Sunday afternoon receptions at Lambeth Palace during the London season were the resort of fashion and influence and the Archbishop's hospitality was more frequently heard of than his piety and learning. He died in 1781 and was buried beneath the altar in Lambeth Chapel. His portrait, by Dance, in the gallery of Lambeth Palace gives an idea of his genial happy nature, one at peace with all mankind, but of his attainments in learning, we know little. Four sermons comprise his only writings. Edward, his brother, entered the Army at eighteen, being gazetted May 4, 1731, Ensign in the 47th Foot, then stationed at Canterbury, a Regiment which in later years took part in the second siege of Louisburg in 1758. For several years he performed garrison duty near London. In 1734 he was promoted Lieutenant and three years after, a Captain on transfer to the 20th Foot, now the Lancaster Fusiliers, which won fame in the battle of Minden in 1759. From 1738-43 Cornwallis was at Whitehall employed on diplomatic services, principally between The Hague and London. In 1744 he was gazetted Major of the 20th Foot and joined the personal staff of the Duke of Cumberland. In the same year, on the death of his brother Stephen, member of the Commons for Eye in Suffolk, a constituency controlled by the Cornwallis family, he became a member of Parliament for that borough. In 1745, Cornwallis joined his regiment in Flanders and was present with it at the battle of Fontenoy. This battle, fought by 50,000 Austrian, Dutch and British troops against 70,000 French under the brilliant Marshal Saxe, resulted disastrously for the Allies. The Dutch and Austrian troops gave way early in the fight and upon the 18,000 British troops fell the duty covering the retreat, which was, and is still, considered a masterly achievement in the annals of war. The obstinacy of the battle may be judged by the carnage in which the British lost 2,000 killed and 4,000 wounded, while the French acknowledged 4,000 killed and 6,000 wounded. The 20th Regiment lost its Colonel and eight officers and 385 men. Cornwallis was in command the greater part of the engagement, as Colonel Craig was killed early in the day. On the return of the British forceor rather the remnant of itat the close of the campaign, the rage of the people knew no bounds. The press was kept busy issuing all kinds of chapbooks and broadsides fomenting the popular discontent. Marvels were expected and the heroism of the 18,000 went for naught. The glorious record of Marlborough and the memories of Blenheim were declared obliterated by the gross incompetence of Cumberland in the late defeat at Fontenoy. During this time of national discontent, Cornwallis appears to have secured the favor of the King and ministry of the day, for in 1745, he obtained the post at court of Groom of His Majesty's Bed Chamber, and before the close of the year, he was gazetted Lieutenant Colonel of the 20th Regiment. In the autumn of 1745 Cornwallis was stationed with his regiment at Edinburgh and Stirling, then the centre of discontent. Later evidenced by a rising in favour of the Stuarts. The defeat at Prestonpans and the victory at Culloden followed and Cornwallis with other commanders was thanked by the government for the way in which the rebellion was suppressed. While in Scotland, under Cornwallis's command, the 20th Regiment became in a mutinous state. This and ill health induced Cornwallis to resign his command and for a time he again acted as Groom of the King's Bed Chamber. He was succeeded in Scotland by Major James Wolfe, the future hero of Louisburg and Quebec, who, by his tact and skill, soon brought the regiment to a proper state of discipline, and for his good work was highly commended by the War Department. Wolfe's efficiency led directly to his appointment to the command of the military operations in America. 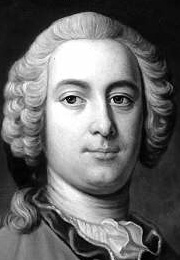 In 1748 Cornwallis was selected as the leader in the novel task of founding a city overseas, the town of Halifax, an enterprise directed against the militant policy of France. Cornwallis was then thirty-five years old. Resigning his seat in the Commons, he addressed all his energies and abilities to his new task, as Captain-General and Governor of Nova Scotia. Cornwallis was described at this time as of slender build, somewhat over middle height, an aristocrat to his finger tips, conscious of his dignity, inclined to be cool and ceremonious, except when his "great temper" took charge of him, possessing a pleasant voice, fine eyes, and a winning expression. Before the month of May no fewer than 1,149 settlers and many families volunteered. Parliament voted £40,000 for the needs of the new colony and late in the month of May the expedition left England under the command of Cornwallis. After a favorable passage across the Atlantic the sloop-of-war "Sphinx" with Cornwallis and suite on board arrived in Chebucto harbour on the 21st of June 1749, (old style, corresponding to 2nd of July new style), followed a week later by 13 transports with about 2,400 colonists of whom 1,500 were men. It was eminently an English settlement. There were some Irish, a few Scotch, a number of Germans and Jews. Character was not considered in the selection of these emigrants. Good health was just then of more account. People were wanted. Their morale would be attended to by the authorities in charge. Unlimited powers were given to Cornwallis for the ordering of the colony, and by him wisely and firmly sued. Personally he had much at stake. If successful with this great venture he would be rewarded. If he was not, it meant practically an end to his public careerand obscurity. All his assistants were military men. In his administration, Cornwallis displayed great tact and energy, patience and kindness to all under him who deserved recognition. He had many difficulties and disappointments to face, including distrust and neglect by the authorities in England. Though discouraged he stuck manfully to his post. The settlers were soldiers and sailors, who had fought in the battles in Europe; accustomed to rough camp and barrack life; the sailors, ready for a sea fight, but like their brethren in arms, utterly unfitted for any other kind of living. There were many good men among them, some of them conspicuous exceptions. Some were as hard a lot as could have been collected and sent away from the old land to starve, drink and freeze in the winters of Nova Scotia. Out of such material he extended the limits of the Empire, and made possible the later conquest of Canada. The seat of government was transferred to Annapolis Royal to Chebucto, the name being changed to Halifax by Cornwallis in honour of Lord Halifax, President of the Board of Trade and Plantations, Secretary of State for the Colonies in the Home Government. Establishing a new city on the spruce-clad shores of Chebucto Bay was no easy task. The Indians opposed the ominous big camp of the white men. The settlers themselves, soldiers and sailors, were not easy to handle. Sickness carried them off. Local merchants traded with the enemy. There were financial difficulties, and the home authorities were none too sympathetic. The first Halifax was practically a precarious armed camp in an enemy's country. The honor of overcoming all these difficulties and of founding the city belonged to one man, the Honourable Edward Cornwallis. Founding Halifax was the one achievement of his life, and he builded better than he knew. He could not foresee that the rude encampment of tents and log-houses would provide opportunity for such mercantile enterprises as made Samuel Cunard famous the world over as pioneer in steam navigation; nor could he dream that the new-made town would afford scope for the political genius of a Howe and the literary genius of a Haliburton and that it would become the seat of great universities and the cradle of Canadian literature, nor the notable part it would play in Nova Scotian, Canadian and Empire history. Halifax holds a unique position amongst the provincial capitals of Canada. It alone was founded as an outpost in the forward march of Empire, and ever since, in crisis, it has proved its value as a military station and a naval base. Its founding was a stroke of great importance in the execution of British military plans and Colonial enterprise. It was an event of Imperial significance which had a far-reaching effect upon the course of the subsequent history of Canada and to a considerable extent was a factor in determining Britain's permanent sovereignty in British North America. Halifax was the first city of British origin in the Dominion. Halifax might have been a failure; it has taken rank amongst the cities of the world. Cornwallis' executive ability, patience and kindness to all deserved commendation and recognition, which he did not get. He remained at his task for three years and asked to be allowed to resign on the ground of ill-health. He was finally relieved of his command in October, 1752, and returned to London, leaving behind him a record creditable and honorable in every particular and the foundation of a new British colony well and truly laid. Early in January, 1753, on the death of Sir Peter Warren, a member for Westminster, Cornwallis was chose for the vacant seat. In the same year he married Mary, the daughter of Charles, second Viscount Townshend, whose sister his twin brother, the Archbishop of Canterbury, married some years later. He left no family. In October, 1753, Cornwallis was appointed Lieut-Col. Of the 24th Regiment (today the South Wales Borderers) with orders to recruit for foreign service, and was for a short time in 1755 with his regiment at Minorca. Subsequent events proved most unfortunate for Cornwallis. France at this time was preparing for a descent on Minorca and the reduction of Port Mahon, considered by the British people as second only in importance to Gibraltar. When it was almost too late, Admiral John Byng was sent to the rescue of the garrison. Cornwallis and two other colonels were ordered to proceed to Gibraltar and embark with detachments from their regiments for Minorca. This was on November 1, 1756, but owing to difficulties with the governor of Gibraltar and Byng's incompetence, the fleet did not reach Minorca until the middle of the following May! Byng grossly mismanaged the only occasion when an action could have been fought successfully and next day called a council of war and advised the return of the fleet to Gibraltar. To the dismay of the garrison, the fleet sailed away, and after holding out five weeks longer and losing 700 men, they capitulated and Minorca was lost to Britain. This disgraceful affair infuriated the people of England, and Cornwallis, who had taken part in the council of war in recommending a retirement, was denounced along with Byng and the others concerned. The Governor of Gibraltar was summarily dismissed. Byng was arrested, sent to England a prisoner, court-martialled and shot; Cornwallis and his two brother colonels who came back with Byng to England were almost torn to pieces by the populace on their arrival at Portsmouth, and all three were tried by court-martial. Cornwallis' past services and the influence of powerful friends, however, brought about the exoneration of the three colonels, though for many months their conduct was the subject of caricature and ridicule. Cornwallis later regained the confidence of the government and was appointed a Major-General on February 12th, 1757. After a brief service in Ireland he was promoted to Lieut-General on October 27th, 1760 and Colonel of the 24th Regiment. Notwithstanding some responsibility for the failure of the expedition against Rochefort in France, Cornwallis, through the influence of powerful friends, was rescued from the disgrace of a second court-martial and through the same influence later appointed to the command in Ireland. In 1762 he was appointed governor and commander-in-chief of Gibraltar, a post which he held in spite of ill health until his death at Gibraltar, January 14th, 1776. He was buried in Culford Parish Church, near Bury St. Edmunds on February 9th, k1776. A portrait published in Vol. XIII of the Nova Scotia Historical Collections has been established by Dr. Webster to be not that of the founder of Halifax, but that of his brother Richard. "I am now convinced that his portrait is not that of Edward Cornwallis but of his brother Richard. Captain Oakes-Jones has clearly proved this by showing that the uniform is that of a cavalry officer of about the year 1730. The military record of his brother shows that he was made a Coronet in December, 1726, and a Lieutenant in Wade's Horse in August 1736, the latter regiment being now the 3rd King's Dragoon Guards. He died in 1741. Edward Cornwallis was never a cavalry officer, and at the time the portrait of his brother was painted, he could only have been in his teens. An artistic bronze statue of the Hon. Edward Cornwallis stands in a central position in the great square in front of the Nova Scotia Hotel, at Halifax. The sculptor, Massey Rhind, an associate of the Royal Scottish Academy, has shown the sturdy figure of the city's founder facing seaward, towards the broad Atlantic and England, dressed in the costume of a gentleman of the period, with flowing military cape, high boots and spurs. The figure of Cornwallis, nine feet in height, stands upon a handsome base of Nova Scotia granite. Massey Rhind, a native of Scotland, lived for some years in the United States, and spent much time in Nova Scotia. His brother, Birnie Rhind, was regarded as the most eminent of Scottish sculptors. In the Province House at Halifax, one of the oldest existing parliament buildings in the British Commonwealth, is the original table around which Cornwallis gathered his first Council in the cabin of the "Beaufort," transport, in Chebucto Harbour, until his rude log cabin Government House was ready for occupation about October 15th., 1749. To citizens of the present generation, the Hon. Edward Cornwallis is little more than the name of the founder of Halifax; an achievement which will save his memory from oblivion. His name was the original name of McNab's Island in Halifax Harbour and it is to be regretted that it was ever changed. Today a village and a river in the Annapolis Valley and a street in Halifax alone commemorate his name. Cornwallis was a master builder inspired by the same patriotism which has built the British Empire, of which the city he founded was its first overseas outpost. Like many another builder, he laid only the foundations, but on them have been erected the institutions of justice and freedom, loyalty and faith which have given to succeeding generations the blessings and privileges of happiness, pace and prosperity. By virtue of his character and energy, Halifax took its place among the cities of the world. It was during the efforts to suppress the Stuart rebellion that Cornwallis became founder in December 1748, of a military Lodge in his regiment, the 20th Foot, No. 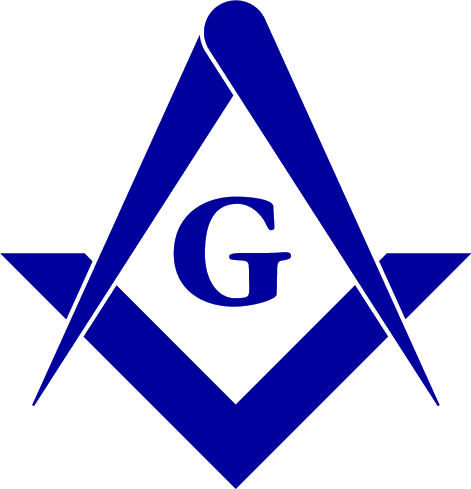 63, on the registry of the Grand Lodge of Ireland. The warrant was issued to Lord George Sackville, Lieut. Col. The Hon. Edward Cornwallis and Captain Milburne. When in 1759 this famous regiment gained honors at the battle of Minden, that name was immediately adopted as the name of the lodge. The lodge ceased working about 1770 but was revived in 1812 and worked until 1819 when it became dormant until k1824. A third slumber, lasting for eight years was terminated at Bermuda in 1844, but the lodge worked for only six years. Unfortunately the warrant and all records and jewels of the Lodge were lost in the Indian Mutiny. Cornwallis could not have had much part in lodge affairs, for as already stated he was seconded from active service within a few months and was succeeded by Major James Wolfe, who tradition tells us had previously been made a Mason in the Lodge of the 20th Foot. Cornwallis' second lodge was founded in Halifax early in 1750 or possibly earlier, under a "deputation" or dispensation from Major Erasmus James Philipps of the 40th Regiment at Annapolis Royal, Provincial Grand Master for Nova Scotia under Henry Price of Boston. Of this lodge, known as the First Lodge, Cornwallis was the first Master. It has continued without a break in its history and is now known as St. Andrew's Lodge No. 1 "the oldest Lodge in the British Empire Overseas," with a most notable history. It was during his term of office as governor at Gibraltar that he became for the third time, in 1768, a founder of a third lodge No. 426 on the English registry in the 24th Regiment of Foot. In Masonic circles his name was chosen for a lodge founded in Halifax in 1786, No. 15, to meet in Halifax and included among its members some of the most distinguished and honoured citizens of its day; but it surrendered its warrant in 1810. Cornwallis Lodge No. 95, Dartmouth, was founded in 1926, and carries on the name today. The Hon. Edward Cornwallis is sometimes confused with his nephew Charles, Lord Cornwallis, who led the British forces in the American Revolutionary War. This great soldier and statesman was the eldest son of Charles, first Earl Cornwallis (1700-62), an elder brother of the Hon. Edward Cornwallis, Born in London, Dec, 31st, 1738, he received his education at Eton, and Clare College, Cambridge. Entering the Army he served with distinction in the Seven Years War. In 1762 he succeeded his father in the earldom and three years alter was made aide-de-camp to the King. In 1770 he was appointed Governor of the Tower of London. He served in the American War of Independence as major-general, and in 1780 was placed in command of the British forces in South Carolina. The following year, after defeating Greene at Guildford Court House and raiding Virginia, he himself was besieged at Yorktown by the French and American armies, and was forced to surrender, October, 19, 1781. With the surrender of Cornwallis the cause of the British in the American Colonies was finally lost. In 1788 he was appointed Governor-General of India, his administration lasting until 1793. As Governor General of India he broke the power of Tippoo Sahib at Seringapatam. Returning to England in 1793, he was made a marquess and appointed Master General of Ordnance. From 1798 to 1801 he was Viceroy in Ireland and enjoyed a successful administration, but resigned when George III refused to sanction the promised Roman Catholic Emancipation. In 1802 he was appointed to negotiate for Great Britain the treaty of Amiens. He was once more appointed Governor-General of India in 1805, but died soon after, on October 5, of that year, on his way up country to assume command of the troops. Of solid rather than showy qualities, Cornwallis was noted for his moderation and prudence, his love of truth, and his unshaken resolution in doing and enforcing what he thought to be right. Reginald V. Harris, The Papers Of The Canadian Masonic Research Association; 1949-1976; Volume 1. The Heritage Lodge, No. 730, A.F. & A.M., G.R.C. ; 1986. Portrait detail : J. Gambardella, National Archives of Canada, C-11070.